Two Awesome Books To Give Away! The first is from a good friend of mine, Jenny Blake, who came out with her first publication last year – but who’s been blogging for 4+ years as well (which is how we met), and the other is from a guy I only recently started chatting with, but who also seems pretty cool – Andrew Hallam. Read on to learn about both books, and then at the end I’ll tell you how to enter to try and win these bad boys. They’re full of good stuff! Life After College is an essential manual for every graduating student and young professional. It features practical, actionable advice that helps people focus on the BIG picture of their lives, not just the details. Life After College will leave you feeling inspired, confident and ready to take action toward creating the life you really want. In Life After College Twitter meets What Color is Your Parachute for 20-somethings. Written by popular blogger and life coach Jenny Blake, Life After College provides tips, inspirational quotes and coaching exercises for every area of life including: Work, Money, Home, Organization, Friends & Family, Dating & Relationships, Health, Fun & Relaxation, and Personal Growth. The book is like having a portable life coach by your side — it is a “one stop shop” that is part journal, part motivator, and part guidebook. Most people wouldn’t expect a schoolteacher to amass a million-dollar investment account. But Andrew Hallam did so, long before the typical retirement age. And now, with Millionaire Teacher, he wants to show you how to follow in his footsteps. With lively humor and the simple clarity you’d expect from a gifted educator, Hallam demonstrates how average people can build wealth in the stock market by shunning the investment products peddled by most financial advisors and avoiding the get-rich-quicker products concocted by an ever widening, self-serving industry. Using low cost index funds, coupled with a philosophy in line with the one that made Warren Buffett a multi-billionaire, Hallam guides readers to understand how the stock and bond markets really work, arming you with a psychological advantage when markets fall. How To Win One of These! To awesome authors and books! You must get your comments in by midnight, Saturday April 13th, and be a resident of the U.S. or Canada (or else I’ll get killed w/ shipping costs). We’ll use Random.org to choose the winners the next day – good luck! *UPDATE* Giveaway Now Over! The two lucky winners are… Marianne who won Millionaire Teacher, and Kari who won Life After College. Congrats! You’ll be getting an email from me soon to grab your mailing addresses so I can mail these bad boys out :) Hope y’all had a great weekend! I would be so grateful to receive the Millionaire Teacher book for many reasons. Some of them include that a goal of mine is to be poised to gobble up massive amounts of stock the next time the market crashes, I am hellbent on bucking the notion that there will not be retirement for my generation, and I work in a store where hardly anyone knows how to buy stocks and they all want me to teach them! Millionaire Teacher. It’s a personal goal of mine! I have a special bottle of champagne just waiting for the day. Plus I really want to impress my 12 and 2 year old daughters and not sweat a drop paying for their college one day! These books sound GREAT! I would love to read them both, but if I could only win one it would have to be Life After College. My boyfriend is, ahem, FREAKED OUT about the real world and it graduating in a few short weeks. Sounds like a good graduation present to me! I would love to have the Life After College book! This would benefit me because I graduated not long ago and would love to have a reference for the things I should be thinking about in order to coordinate my future. Nice! I would love to win Life After College: The Complete Guide to Getting What You Want! We’re in the process of helping our high school student apply for college & this would be a great motivation to him in the process! Always nice to have a giveaway. I would really like: Millionaire Teacher: The Nine Rules of Wealth You Should Have Learned in School. It is for a friend who is a spendaholic, so much so that he keeps having to ask his parents and grandparents for money to pay for his rent each month. I try to help him but he doesn’t listen. He does enjoy reading however, and so I think this book would be perfect for him. I’m entering for the Life After College book, because two years later I’m still flopping like a fish out of water. Help. Life After College. As a recent graduate who is stealing eating ramen noodles on the weekly–I think I could benefit from some life hacks that would make sense to me. I would like to enter for Millionaire Teacher because I’m awesome and would like to prove to my wife that ateacher can do it. I’d like to win the life after college book. It seems like the perfect gift for a new graduate. I would love to see what Life After College has – I’m about to graduate with a master’s degree, and although the book is targeted to undergrads, I’m sure there’s something in it for me too! I guess I’m the first one who’d like to win both! I’d love a copy of Millionaire Teacher too. I make so little, trying to balance family and work, anything would be helpful. Maybe we could invest a little here and there and make it add up over time. I would like to enter to win the “Life After College” book. I am a soon to be grad, from college, who is attempting to get ahead start on things before I graduate. I will be graduating with around 40k in student loans to be a teacher…not my smartest life choice…but manageable to some degree. Winning this book would help me prepare for the real world since I literally know nothing about it! Thanks for your time! Millionaire Teacher – Why isn’t investing taught in school?! Really! That and money management in general would be a great step in changing the next generation’s relationship with money. I would love to read Life After College! I graduated 2 years ago and I’m still trying to get a handle on finances. I’m also going back to school so it might be helpful for my second time around! I would also love to win Millionaire Teacher. I’m going back to school to be a teacher so any wisdom I can sneak into lesson plans will surely help a few students. I wish I had learned about money while in school! I would love to win the Millionaire Teacher book Why? I used to be married to a teacher. Spares me the begging for her to come back. I would love to have the knowledge of how to become a milionaire, without having to live with a teacher again. My sister will be graduating college in a year with a degree in Special Education (she has a real heart for kids with special needs – she’s even taking extra classes to get a special certification in Autism!). I would love, love, LOVE to give her one (or both) of these books as a graduation gift (or even as a Christmas gift… you know, so she can start reading ahead of time!). I’d love to read Millionaire Teacher. I’d love to share it with my wife, who is also a teacher because it’s tough discussing finances with her! She’s quite good at spending money!! These are all great, guys! Can’t wait to give them out to ya soon! Keep on submitting them! I would love a copy of Life After College. Why? I’m six years out of college and STILL don’t know what the hell I’m doing. I seriously need the help! I would love to win “Life After College: The Complete Guide to Getting What You Want” to help me figure out what life is all about. Who doesn’t want to be a millionaire, right? I would love to read Millionaire Teacher. It will give me hope that I can reach my goal (even with this horrible economy) to live a fulfilling, meaningful life, and to retire young enough to travel the world and share the wisdom. I would love a copy of the millionaire teacher. I have always wanted a millionaire mentor and in addition I am wanting to be the millionaire mentor for my now 1yr so I need to get started learning today so I will be ready. Love to teach future generations! I would LOVE to read the Millionaire Teacher’s book! I’m finally getting to the point where I can put investing suggestions to use, and I’d love to get off on the right foot this time around. I would love the Life After College book because I am a brand new visitor to your website and it would endear me to come here and stay more often. I just graduated from college and I am loaded down with $30,000 of shiny, new college debt and I could really use some sound advice on life and career. I seem to have some scattered goals but no way to accomplish them and this seems like just the book to set me on the right path! I’d love to win Millionaire Teacher. 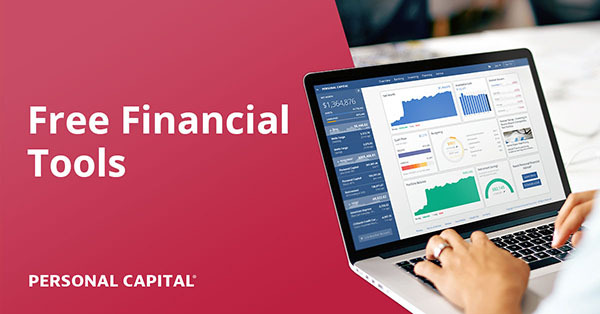 I’d use it to further my education in finance, see if I could use it to create any spreadsheets that help me analyze my financial picture and share the knowledge (and spreadsheets) with family, friends and possibly online communities. I’d love to win Life After College: The Complete Guide to Getting What You Want. I am a graduating college senior (graduation is May 12!) and I am currently still trying to tie up my college career and find a full time entry level position to start my career. Graduating college marks the time when I will not have parental support (they paid my rent and tuition over the last 4 years and this is where that stops. I’d love to read up on any advice I can get. I want to win #2… The Millionaire Teacher: The Nine Rules of Wealth You Should Have Learned in School. The reason why I think I deserve to win is because I am a teacher at a local high school and I’m also a tutor. If I won this book, I would actually read it and teach the principles I learn from the book to my students. Thanks. I also want to win #1.. I recently graduated from college and I think it would be benefit me if I read it. I would like Life after College for my brother who will be graduating in 3 weeks. This would be a great addition to “I Will Teach You to Be Rich” for his graduation present. Would love Life After College! As a 2011 college grad who still doesn’t really know what I want to do with my life, this would be a great book for me. I would give the millionaire teacher book after reading it to my brother in law as he is a professor at a university. I would give Life after college book to my Niece as she is currently in college and can hopefully take the lessons in this book seriously. I would like to win Life after college for my bro-in-law who is killing it at school! He would enjoy another perspective. I’d love to have a copy of Millionaire Teacher – sounds very practical and doable! I want Millionaire teacher, cause I am broke. I’d like to win Millionaire Teacher. I’ve been seeing a lot of good reviews on this book around the blogosphere. Looks like a good read! I would love to win * The Millionaire Teacher * for myself and my younger sister. My younger sister is currently a high school business teacher who took charge of her money, credit, loans etc long before she turned 18. She’s been offering advice and guidance for my own financial success FOR YEARS through all the mistakes she’s made. Now, we’re helping each other because I’ve been teaching her about credit scores, internet banks, and investing in ETFs all of which she’s clueless about. I think the book would be a great resource for us both, and that she can reasonably turn what she learns from it into some final,departing lesson plans for her seniors before they head off to college. I would LOVE to win The Millionaire Teacher. It’s my secret dream to BECOME a millionaire teacher through frugality, investing, etc. I kind of want to show people that becoming a teacher doesn’t necessarily equal being broke because I want hardworking, dedicated people to enter the profession without being scared off by the low salary. So any tips that I could get from this book would be great. Millionaire Teacher – I’d love to read it to pick up some tips and to share it with my relatives who are teachers. I could REALLY use a copy of “Life After College” because I’m graduating from undergrad in about two weeks, and I would appreciate some advice on how to approach the next chapter of my life. I have managed to secure a job, but I’m really anxious about the day to day living and making sure that I am living up to my full potential. Lastly, I recently found your blog and recommended it to my entire class…Brownie points??? I would love to win the Millionaire Teacher. I have a co-worker who is constantly asking me for advice and I absolutely loved the book and I would love to give him a copy of it. I’d like Millionaire Teacher for myself. It would be nice to read some advice from a “real” person who made it big in with investments instead of the brokers! My baby brother needs the book Life After College. He’s got a little over one year left, and being a music major will be tough on his finances. He’s a little clueless about personal finance, especially since my parents help him out more than he realizes. That’s all going to change sooner than he realizes! Millionaire Teacher, please! I’ve been interested in reading it, but haven’t taken the plunge yet. Of course I would love to win it! I would like the Millionaire Teacher please! I heard about this book and would love to know the Millionaire Teacher secrets of financial success! Life after college: the complete guide to getting what you want. I would love this book! As 24 year old professional, I think this would be perfect for me. I would like Millionaire Teacher please. I would love this book to pass on to my niece who is going to graduate this June. Millionaire teacher! I love reading stories of how other people have succeeded at all income levels. Anyone can do it as long as income > expenses! I’d love to give Life After College to my younger brother who is graduating college next month. Life After College definitely. My daughter is taking on classes this semester and next to graduate a semester faster and I think she could use another “voice” of how to navigate “the real world” and the intracacies of getting the job after the degree etc… she’s worked so hard these past 3 years and I think this would be an extra little bit of encouragement that she deserves. I would LOVE to win Life After College for my graduating son Travis. As the youngest of four, I think I was a little too lax with him and he seems confused about what comes next. I’m sure this would help. Thanks for the chance to win! I would live to win Life After Collegefor my little brother who is setto graduate collee this fall. I would love the Life After College book. As a young professional, I’m still trying to figure out what I want out of a career and life, so any help would be much appreciated. I would love to win the _Millionaire Teacher: The Nine Rules of Wealth You Should Have Learned in School_… I’m an average person, with a modest income- I would love to better learn the ins and outs of the stock/bond market! I need Life After College, because honestly, I’m wandering aimlessly through life, and have no idea what I’m supposed to do now. I also need Millionare Teacher, that’s what I want to be when I grow up, but my fireman dreams are still lingering; why not do both?! Definitely interested in reading Life After College: The Complete Guide to Getting What You Want. Had it in my saved items on Amazon for a while now. Millionaire Teacher- I have money just sitting in cash in my 401K that is burning a hole through my pocket. I definitely want Life After College for my husband and I. Although I don’t qualify as a 20 something any more, I am finding myself at a huge crossroad of sorts in which I might have to give up college or move to another state in order to stay in college. I think the book would be useful and maybe have some advice for me to look at the bigger picture. It will probably help my husband too, since he wouldn’t be moving with me right away. I would love to win the Millionaire Teacher! I taught (adult ed) for many years. I am retired now but find myself interested in investing. As you said, there are many many books and offers of advice. But this one seems to fit me. Hope so! Thanks! Life After College would be an excellent read for me..! 4 years out of school and still trying to get the ball rolling on what I want out of life. I’ve recently became debt free, and while listening to Dave Ramsey helps, I’m looking for the next step of the equation (the what do I do with this money, and how do I properly invest it part). I’ve listened to other podcasts regarding investing, and either they are too technical (relating to the day-to-day activities of the stock market) or are too abstract (generally just say “investing is good). I’m looking for some more concrete answers (e.g., asset allocations and such), and I believe the Millionaire Teacher affords this. Thanks for the free books J. Money! Keep the blog posts coming! And congrats on your new baby! I’d love Millionaire Teacher. I’d like to actually be able to understand what my financial advisor is saying (and heck, I think I’d like to drop him, too, if I can get a good enough handle on investing). 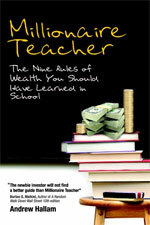 I’d love to get Millionaire Teacher: The Nine Rules of Wealth You Should Have Learned in School. I have no idea what I”m doing. For 15 years now. I want to win Millionaire Teacher. It would be nice to learn all the stuff i was never taught in school. I would also like the Millionaire Teacher. I love to learn and learning about money is even better. I’d like to win Life After College. I graduated two years ago so I’m sure it would offer some good advice. I’d also like to win Millionaire Teacher because investing/retirement is the financial aspect I have the least understanding of at this point in my life. I would like Life After College so I can read about what I should have done after I graduated college!!! im back J. Money! I am hoping to win, “Life After College: The Complete Guide to Getting What You Want” book. I am now starting my life over after being a married home-maker of 21 years and recently going through divorce. I am enrolled to attend college for the first time in my life as a single, middle-aged, woman seeking to advance myself and financially support myself independently. This book sounds like an ideal reference guide to help me find ways to pull all the areas of my life together as a newly independent woman. I would love to win a copy of “Life After College: The Complete Guide to Getting What You Want” because I just graduated in December and I have been at a complete loss as to what to do with my life and finances. I have student loans and an auto loan that I am trying to get put behind me, as well as trying to find a job in my degree. Any help would be amazing and I winning the book for free would just be a great start to this new chapter in my life. 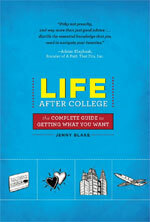 I would love to win a copy of “Life After College” by Jenny Blake. I actually found your blog by reading her blog! I would really love Life After College. I feel my wife and I are sort of stuck on what to do with our lives at this point. Not sure which direction to head with in school, jobs, living location, pretty much anything. If this focuses on the BIG picture that is something I know I have a really hard time with and I know my wife would love the book! Congrats! You’ll be getting an email from me soon to grab your mailing addresses so I can mail these bad boys out :) Hope y’all had a great weekend! Previous post: Swapping Out 4-Week Goals? Next post: How Far Would You Go To Pick Up a Penny?